My rebel transport arrived last week. 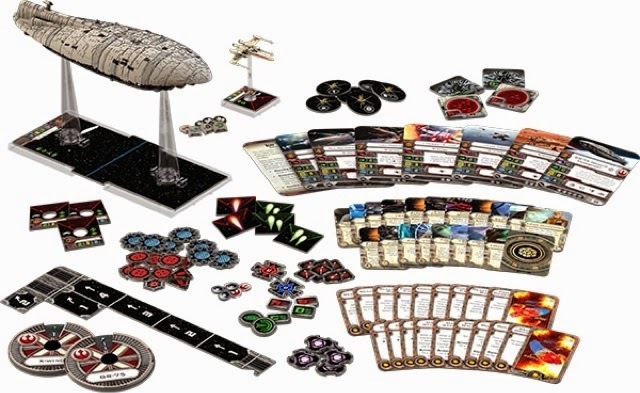 It's massive and the new X Wing pilots are great. Friday night we had a chance for a 300 point game. 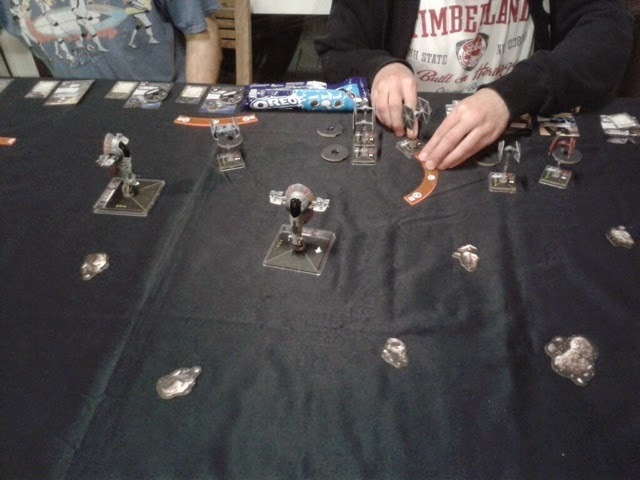 It ended up with me taking the Rebels and Barry and Josh flying the Imperials. I only snapped a few pictures at the start as I got totally engrossed in the game. The transport was great until they fired everything at it. Zero agility is a killer! 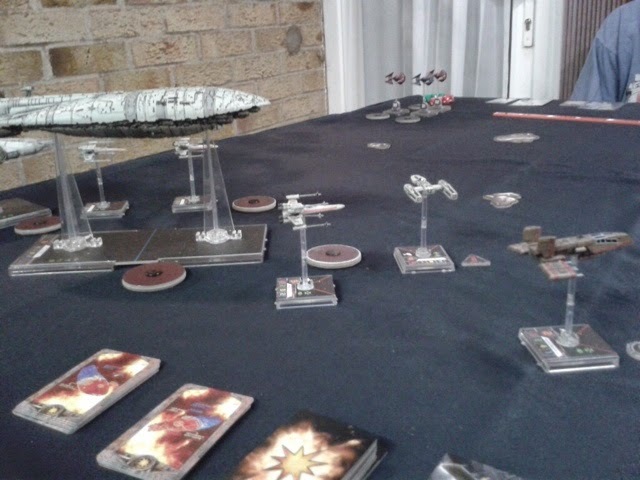 The game ended out in a shoot out between the Millenium Falcon and Slave 1, each on one health. The Falcon fluffed its roll and was finished off by the Slave, despite lurking behind an asteroid. It was a fantastic game and I'm really keen to try some more epic play. Technically the TIE Bomber wasn't from the show, but still came from the same budget. 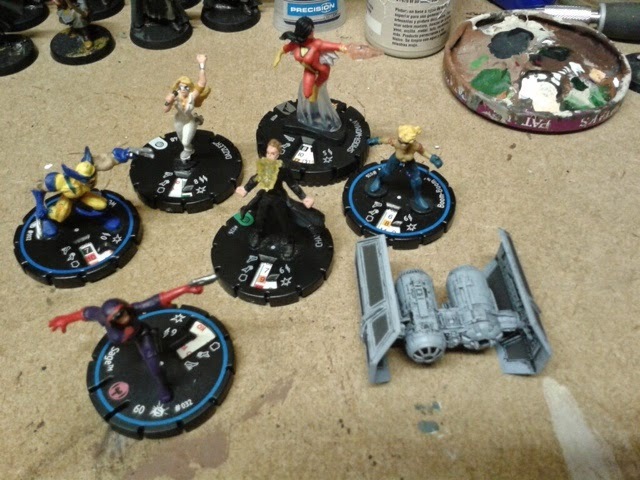 The clix are Wolverine,Dazzler, Spiderwoman, Boom Boom, Sage and Chamber. 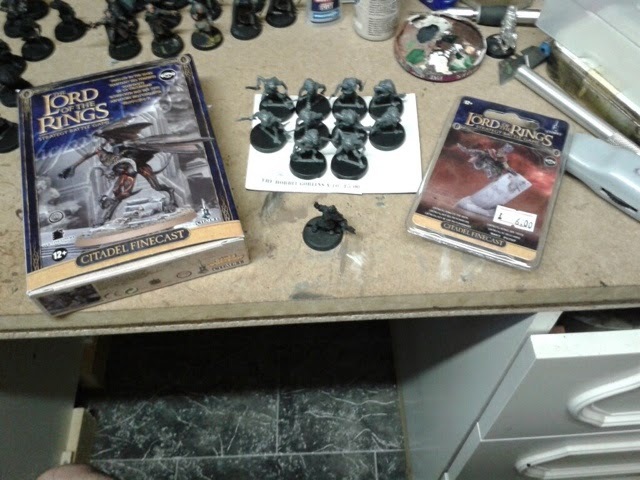 Also got Wasp but forgot to put her in the picture. Thanks to Dan for some of these.